I have been searching for a folding boat for a while. 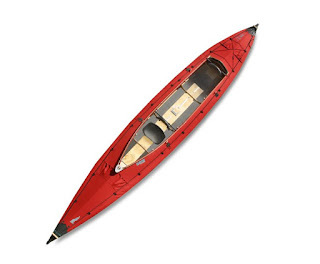 A sea kayak, a canoe, or a small boat. An alternative to a rigid boat. Something reliable that can handle multi days expeditions. Something made with a skin on frame that I can store away in a closet or take on a plane in a duffel bag. Ideally less than 23 kilos and around 15 to 16 feet when mounted. When spending days and nights outside at temperatures below -7 °C (20 °F) certain things become harder to manage. Estimations, calculations and speculations around the weight of a backpack. What do you need to survive into the wild? This website is dedicated to primitive and hi-tech nomadic life styles. "A mind that is stretched by a new experience can never go back to its old dimensions." – O. W. Holmes, Jr. Copyright © alcofribas.com All rights reserved. Simple theme. Powered by Blogger.